Melt butter in skillet or on a flat griddle over medium heat. 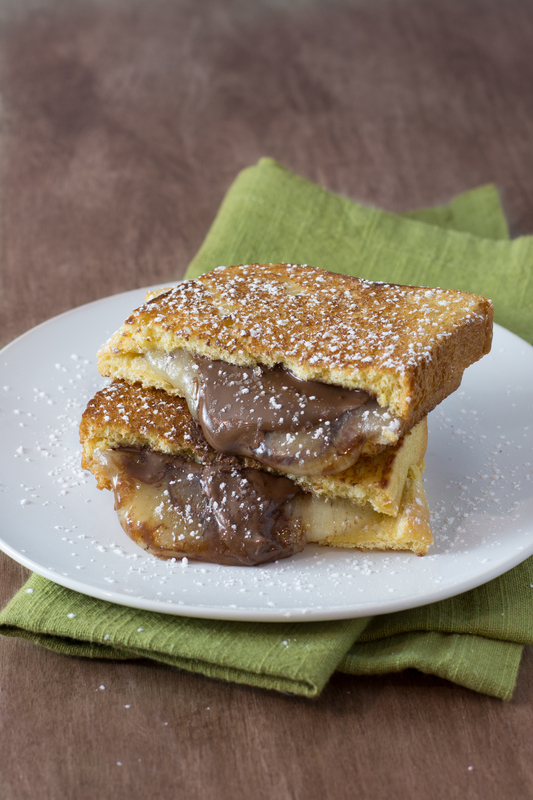 Spread one side of brioche bread with Nutella and place uncoated side in skillet or on griddle. Add shredded cheese on top of Nutella and cover with other bread slice. Cook each side for three minutes until golden brown and cheese has melted. Remove from pan and cut diagonally. Garnish with sprinkled powdered sugar and toasted almonds.